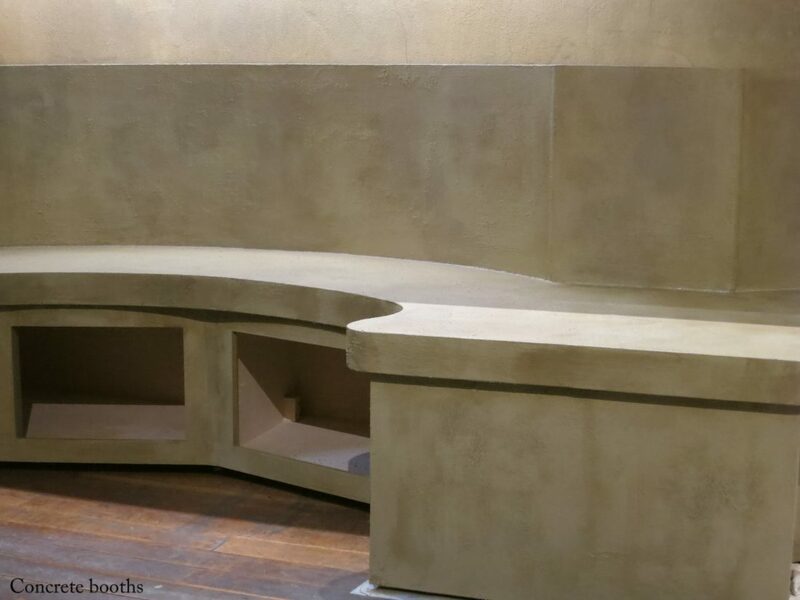 Nicola Thwaites Specialist Decorating can simulate concrete, both rough and smooth. 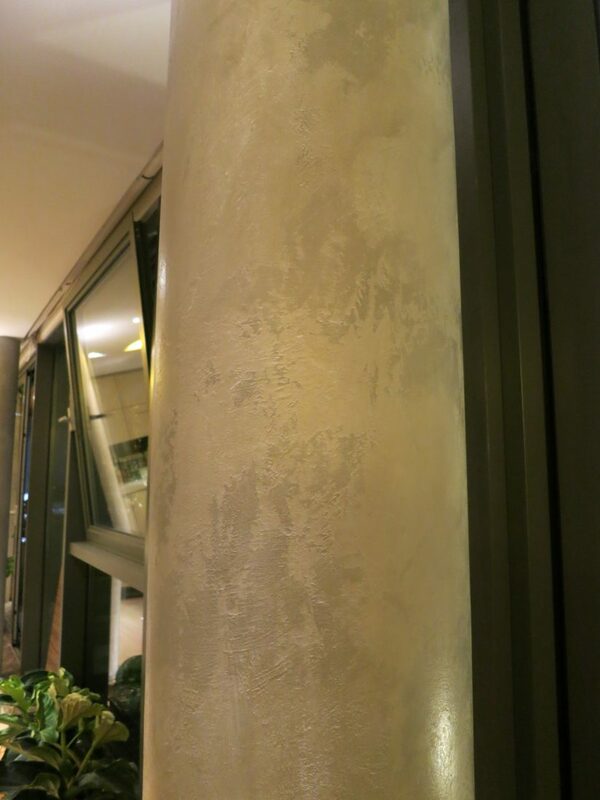 For decorative purposes, faux concrete finishes can be more versatile than the real thing. And they don’t have to always be battleship gray but can be tinted with pigments to match any colour scheme. Limestone and sandstone began to be replaced by concrete around about the middle of the 20th century. The design world became excited about the versatility, strength and relative inexpensiveness of this new material. Its universality soon prevailed. 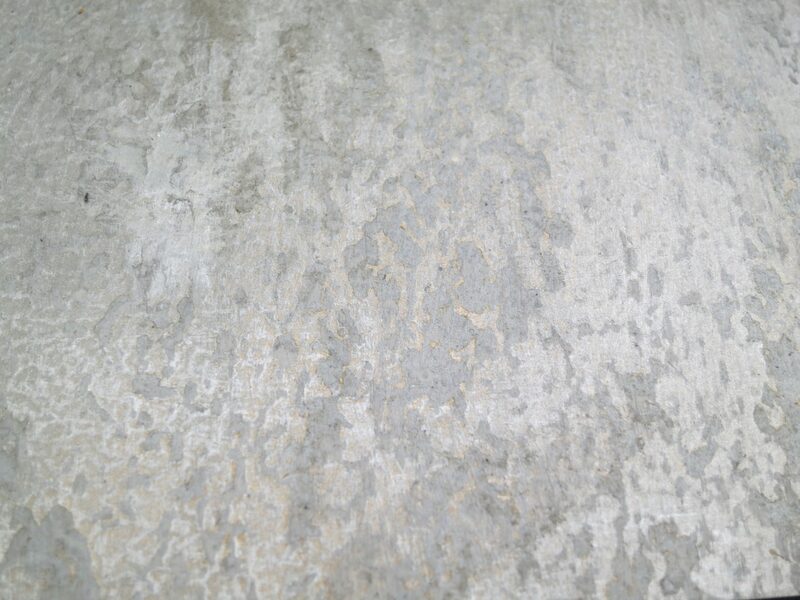 Certainly, concrete is a workaday material with a rugged appeal when left in its raw state. 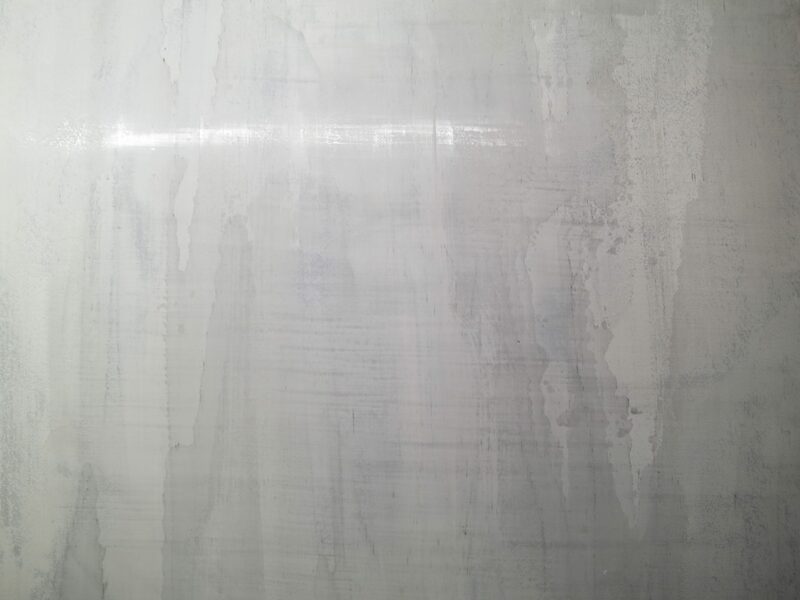 But it can also look very beautiful when polished to have an appearance similar to marble or limestone. 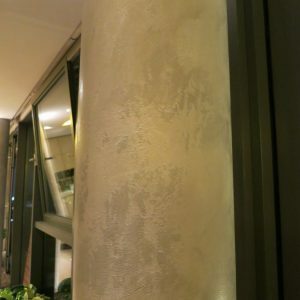 While we mostly associate concrete with exterior structures, faux concrete finishes work excellently in minimalist interiors and spaces where you want an industrial design feel. 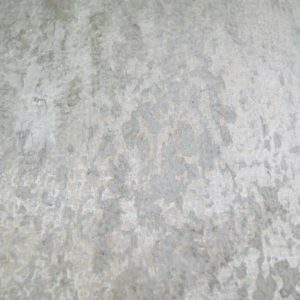 Faux concrete can also work well with our other industrial paint finishes like faux rusted steel and blackened steel. 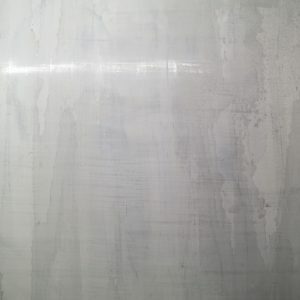 Such finishes are useful for decorating girders, beams, and other internal architectural elements left exposed in deconstructed modernist interiors. Nicola Thwaites Specialist Decorating is based in London and Sussex but also works regionally and in Europe. 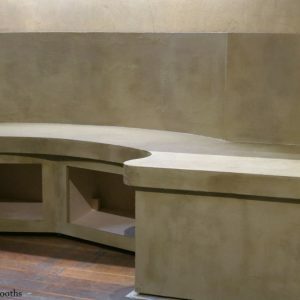 Visit our Painted Finishes and Interiors pages to see samples. Or visit us at the British Institute of Interior Design where we are a BIID Industry Partner. We offer a full range of specialist decorating for both historic and contemporary interiors. Feel free to contact us with any questions.